Do you know the most important phishing tip? 20 people didn't. Do you know the most important phishing tip? 20 people didn’t. Last week, we were sitting in a conference room with 20 people. These were smart people. All highly educated. They all use computers every single day. We were talking to them about ways to keep safe online. The conversation ranged from phishing to ransomware to staying safe at home. It was fun to be with a group of smart people who asked good questions. In the middle of a discussion on phishing, we casually mentioned this one key tip. We got a ton of blank looks in the room. When we asked, the folks in the room admitted they had no idea what we were talking about. So we pulled out the computer and showed everyone. Now we’re going to show you this same trick. This is one of the most important things you need to know to stay safe online. (2) They trick you into clicking on a link. The problem is that you have no idea what’s going to happen until you click or open. Using this trick, you can take a quick peek into the future before you click a link. Every single email program and web browser out there has a way that you can see where a link goes before you click on it. All you have to do is hover your mouse over a link, but DON’T click on it. First, let me show you how this works on a web page. This is an article we wrote recently about Wannacry ransomware. See the link on the page? See? Now I can see the future, before I click. For some stupid reason, Apple’s Safari hides this. You need to turn it on. Thankfully, it’s easy. In Safari, go to the View menu and select “Show Status Bar.” You’ll see it appear in the lower left-hand corner. 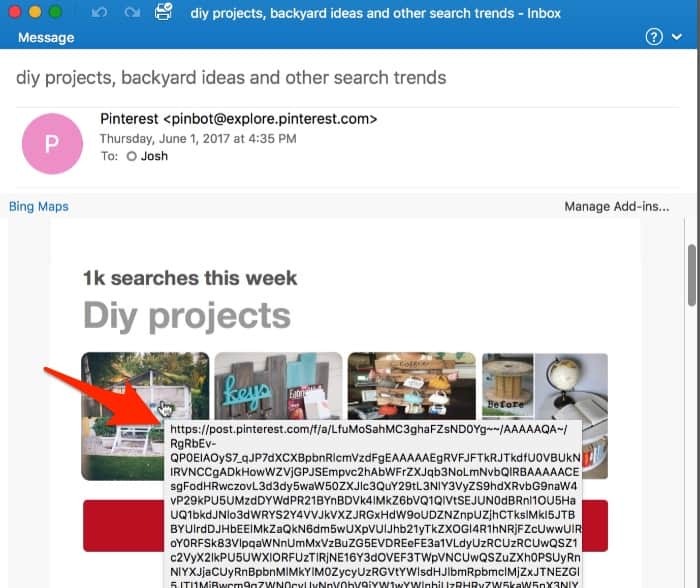 Now let’s take a look at how to use the Link Hover to spot phishing attacks. We’ve gotten some nasty ones in the inbox over the past few weeks, so we’ve got a live example ready to go. If I use the Link Hover on any of the links in the email, though, they tell a different story. Yeah, so that’s NOT Costco. I highly doubt that Costco has decided to outsource their gift card surveys to some random company in central Africa. Always compare the email with the links that you expect. If you get an email from Facebook, the link should be to Facebook. If you get an email from Paypal, then the link should go to Paypal. Taking an extra second before clicking a link could save your computer (and your business) from a disastrous week. Pro Tip – Is it bad? If you get an email with a weird link, it’s best to leave it alone. If you’re curious, though, there is a way you can see if the link might be bad. Now, with the link in your clipboard, head on over to VirusTotal. If you’re not familiar with it, VirusTotal is an excellent free resource provided by Google. You can scan any file or link against 57 different virus scanners, all for free, to see if they’re bad. Here’s the thing, though — if something comes back as clean, that doesn’t necessarily mean that it’s safe. Virus scanners are great at finding older attacks, but have a hard time finding brand new, never-before-seen attacks. Head to VirusTotal, and click on the “URL” tab. In a few seconds, VirusTotal will come back and tell you whether the site has been flagged in any anti-virus systems..